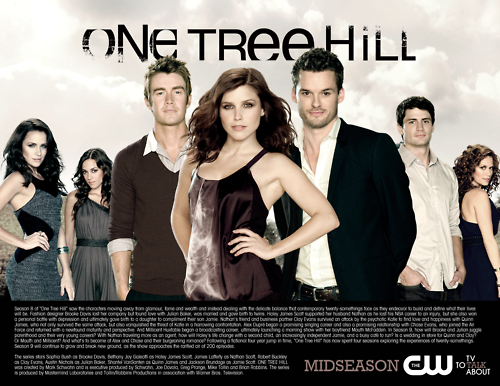 One 木, ツリー 丘, ヒル - 9 Season Official Poster. . Wallpaper and background images in the ワン・トゥリー・ヒル club tagged: one tree hill. ok haley and nathan should be in the front with brooke NOT julian and clay! like what the heck?!?! i dont like them at the back!! !